Japanese is a crucial language for business, internet and technology applications. Although it tends to present challenges for English speakers, we are on hand to simplify the process of producing exceptional content that engages a Japanese speaking audience. In addition to having three alphabets of its own – Hiragana, Katakana and Kanji – the Japanese language does not use genders of nouns, articles (such as ‘the’ and ‘a’) and usually does not use numbers. While its complexity can cause confusion for language learners, the Japanese point to the language as a great source of pride. Japanese is therefore an enigmatic language, it stands apart and has few clearly-established links with other languages. Spoken by in excess of 127 million people (in addition to Japan itself, it is the second most-spoken language in Brazil), the language has a different grammar, vocabulary and writing system to virtually all other languages, with only some word links to Korean – it is often regarded as one of the most complex languages to learn. By placing your Japanese translation project in the hands of our professional team of translators, all of which are native Japanese speakers, you are able to ensure your information resonates with your intended audience. We only work with professional linguists who know how to employ the language accurately for a specific range of applications. We ensure your content will be accurately and appropriately presented in Japanese and will always appeal linguistically to your target audience. Your project will be handled by a dedicated account manager, ensuring a personal point of contact throughout the duration of your translation program. We provide complete, ready-to-use translated content and can integrate it into your existing layouts and designs, shielding you from additional outsourced artworking. We are recognised as accredited by the British Standards Institute and ISOQAR, holding ISO 9001 quality control and ISO 27001 data security standards. Our Tracklingua management system is an easy, flexible and convenient portal through which you can view, access and submit translation requests. Tracklingua works to put you, the client, in control: completed translations can also be received via Tracklingua, including multiple items and documents that require translation into more than one language. Like many languages, a range of dialects are spoken in Japan, which can affect word order and pronunciation as well as vocabulary. There are four different forms of address, used dependent upon the mode of the person being addressed (one deferential, one condescending, one for family and friends and one which is somewhat condescending). Knowing the correct context to speak in requires an insight into not only the working of the Japanese language, but also the culture and society in Japan itself. We have a skilled Japanese desktop publishing team made up of in-house designers and typesetters. Creative Japanese layout conversions of your documents or even complete re-designs to suit your overseas audience are no problem. Take a look at our dedicated desktop publishing page for more information. 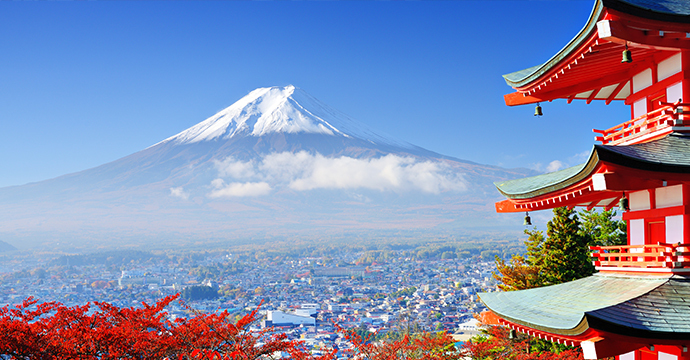 Get a free quote for Japanese translation today!